If you’re looking for resources about child custody cases, chances are you’re looking for answers, support and guidance from a great family law attorney. Our dedicated Moultrie legal team at Kirbo Law Firm have organized a good amount of info to help guide you through this tough time. We know how important family is, and the need to protect your children. Take the time to research and read everything you can so you know what to expect as you move through this difficult time. We can start with the basics. This occurs when a parent gets full custody of their child, this occurs most often when the other parent is abusive or absent. Joint Custody is when a child spends equal or almost equal amount of time with both parents. Joint custody is the cause of some controversy and is only allowed if both parents can cooperate and make joint decisions in the child’s best interest. 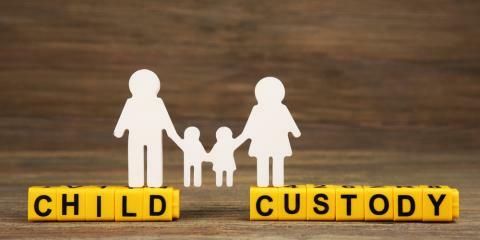 Split custody occurs in the instance of several children in which one parent has physical custody of some of the children and the other parent has physical custody of the others. This is generally considered an unfavorable option. If the parents are not married, the mother wins custody unless the father takes additional measures to be granted custody. If you’re wondering how you can get custody of your child, you will most likely have to go to court. Of course, parents are able to make the decision if they can come to a mutual agreement. Although if someone changes their mind, it’s much harder to enforce the decision made. Going to court is the safest option if you want your custody written. However, each state has their own laws regarding custody and those should be reviewed first. Check out thebalance.com and see their guide to each state’s laws. What If I want to move away with my child? Firstly, the court needs to decide if the relocation would be in the best interest of the child. If they decide it’s not, you might have to stay. While first getting child custody, it’s helpful to create some kind of agreement than that if the desire to relocate comes up, it’s already agreed upon with visitation schedules already planned out. In some states, you as the custodial parent are required to give written notice of the intention to move to the noncustodial parent 30 days before the move. In this notice should be information regarding the new living situation. In some states, the non-custodial parent needs to agree to the move, if they don’t agree they can file a motion to stop the relocation. However, if they don’t respond within the 30 days, you are able to move. If the non-custodial parent objects, it may go to court and there are several factors determining if you are able to move. Distance from your original location can change the outcome of your move. Education system is better for the child. 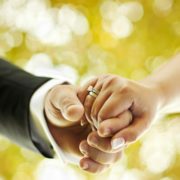 A proposed visitation schedule is required by most states. Usually the child will see the non-custodial parent over holidays and breaks from school. Having a schedule ahead of time may help your case. In regards to the money it takes to travel the child between parents, if you are the parent moving away, you will most likely have to be okay with paying the majority of those costs. If you are, make that known in court. 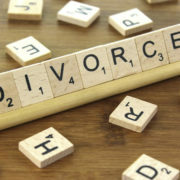 To talk to a child custody attorney about getting custody or moving away, contact us here at Kirbo Law Firm located in Moultrie, Georgia. Child Support comes in once custody is assigned. Usually the non-custodial parent will have to give a portion of their income to the custodial parent as child support. However, there are different guidelines for Child Support by state. Check out the National Conference of State Legislatures guide to those guidelines. First, you must be the custodial parent. Then you should go to court to get a Child Support Order. In the case of a Joint-Custody. If during the marriage one spouse made a significant amount more than the other, they may have to pay some child support to the parent making less. Hire your own attorney to help figure out how you will get paid and how much. You can speak to one here. Usually child support enforcement agencies and the court will work together to create a child support system. Child Support will ultimately be issued by family court. I’m not getting the Child Support I’m owed, What do I do? 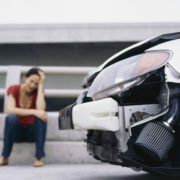 Contact Kirbo Law Firm, your Moultrie Attorney. Child Support is usually court-ordered, and they will have to pay. However, if it still persists to be a problem, the court can take more drastic measures. In some states, the parent who isn’t paying child support can have their wages withheld. If it continues, several other actions may be taken, such as the jail time, seizure of property, interception of tax refunds, freezing bank accounts, suspension of driver’s license, and more. The NCSEA released a list of different states child support enforcement agencies that can help. 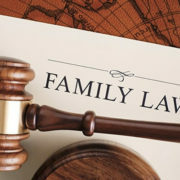 To get more information on obtaining child custody or child support, you can speak to one of our family Law Attorneys here at Kirbo Law Firm, located in Moultrie, Georgia.